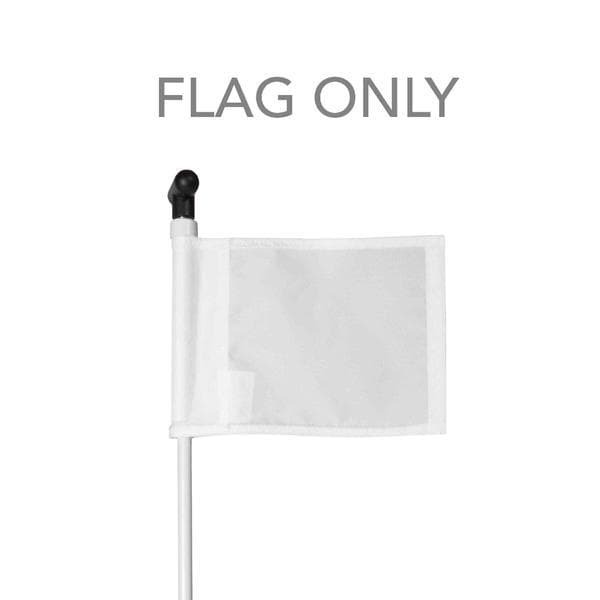 The Putt-Flag is for use during installation of a backyard artificial grass putting-green Great for replacing old flags Bundle this flag with a putt-cup and putt-flagstick to create a complete set. The Putt-Flag is for use during installation of a backyard artificial grass putting-green. To be used in conjunction with UG-FLAGSTICK and UG-PUTTCUP. White Only. Commercial Grade. Durable Fabric. Light weight.